Braintree Town took a point from their sixth game in 13 days at Conference Premier play-off rivals Halifax. The Iron have played on Saturday, Tuesday and Thursday for the past two weeks, taking 13 points along the way. Lois Maynard forced Braintree goalkeeper Nick Hamann into a save in the first half. Debutant Scott Spencer missed two chances for the home side and Dan Holman was wayward for Braintree in a game of very few chances. 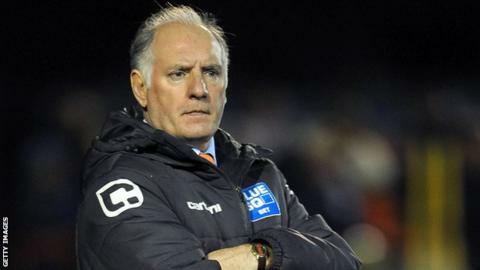 Alan Devonshire's Essex side are now up to fourth in the league and maintain a one-point advantage over their opponents, who are in seventh. Match ends, FC Halifax Town 0, Braintree Town 0. Second Half ends, FC Halifax Town 0, Braintree Town 0. Simon Ainge (FC Halifax Town) is shown the yellow card for a bad foul. Foul by Simon Ainge (FC Halifax Town). Attempt saved. Paul Marshall (FC Halifax Town) left footed shot from outside the box is saved. Attempt saved. Matthew Pearson (FC Halifax Town) right footed shot from outside the box is saved. Substitution, FC Halifax Town. Marlon Jackson replaces Ryan Crowther. Substitution, Braintree Town. Alex Jakubiak replaces Luke Daley. Foul by Scott Spencer (FC Halifax Town). Attempt missed. Luke Daley (Braintree Town) right footed shot from outside the box is too high from a direct free kick. Offside, FC Halifax Town. Lee Gregory tries a through ball, but Lee Gregory is caught offside. Attempt missed. Scott Spencer (FC Halifax Town) right footed shot from outside the box misses to the right. Attempt missed. Scott Spencer (FC Halifax Town) right footed shot from outside the box is too high. Attempt missed. Dan Holman (Braintree Town) right footed shot from outside the box misses to the right. Substitution, FC Halifax Town. Danny Lowe replaces Marc Roberts because of an injury.